Are you planning a surprise party? If you are then you’ll want to get every little detail right. It can be quite overwhelming to organise a surprise party. Where do you start? With the guests, the venue, the food? Having a checklist is a good way to make sure you’ve remembered everything and not left anything out. With this in mind, we have put together a practical guide so that you can throw an amazing surprise party your guest of honour will remember. Imagine that you are the guest of honour. What would an amazing surprise party look like from their point of view? Put yourself in their shoes and start thinking about the type of party, the kind of venue, what food and music they like and go from that framework. 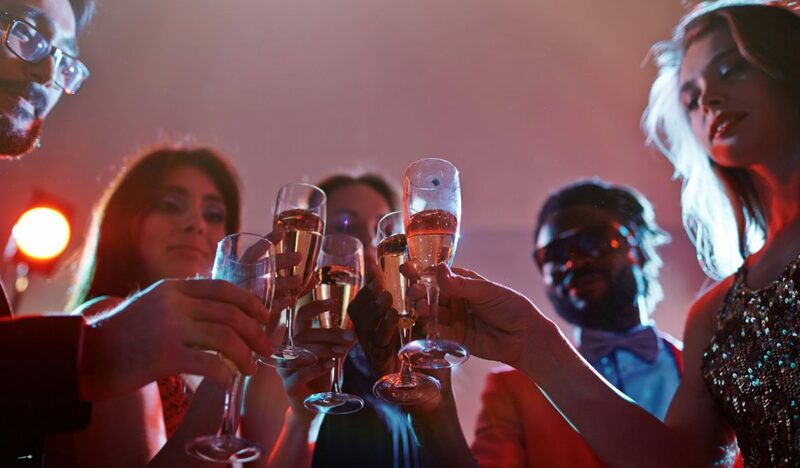 Now that you have a good idea of the kind of party your guest would love, walk yourself through the event. So imagine you are being taken to the party and you are not aware it is a surprise party. What do you see when you walk in? The lights coming up and everyone cheering? What are the decorations like? Can you smell the food or hear any music? One person cannot organise everything and keep it a secret from the guest of honour. However, with social media, it is much easier to get in contact with people. So why not create a Facebook or WhatsApp group and delegate certain aspects of the surprise party to others? With any another type of party, you can send out invitations and receive RSVPs. But of course, you don’t want envelopes ending up on your doormat if you live with the person you are surprising. So make sure everyone knows to respond to your email address or by text to the person organising it. This all depends on the kind of surprise party it is going to be. If it is a fairly informal do with music and dancing you can have a buffet-style table where guests can keep going back for nibbles and be free to mingle with other guests. For a more sophisticated party hire waiters to pass round food and drinks. And don’t forget any guests that might have allergies or intolerances, and make sure you cater for vegetarians and vegans. This is probably the most crucial aspect of the whole surprise party. One false move and all that planning and having to keep it a secret is wasted. So, you need a plan to get your guest dressed up but not aware they are off to a party. If you are in a couple, simply tell your better half you are taking them out to dinner. Then, on the way, you can make some excuse to go to the venue. For example, a friend has broken down and need you to pick them up and they just happen to be waiting in the venue. If you are hiring furniture or organising catering for the party, make sure your suppliers know it is a surprise and that they should only deal with you and other specially delegated people. Give them the name of the guest of honour and be sure that they know not to talk to that person. Finally, the day before, send a quick reminder to your guests to let them know the exact time they need to be at the venue before the guest of honour arrives. Give details of the venue, such as parking out of sight or alternatives entrances for guests that might turn up late.